Join us for afternoon tea with award-winning author, screenwriter and fellow Cornellian, Howard Rodman, as he discusses his new novel, The Great Eastern. 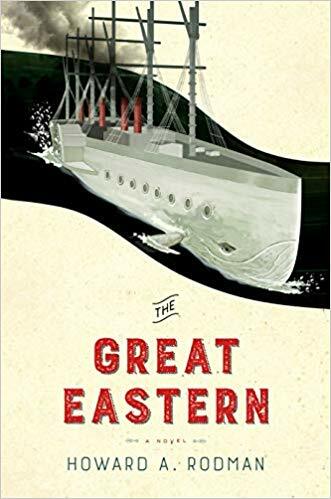 The Great Eastern is a dazzling inventive literary adventure that intersects fiction and non-fiction--pitting two of literature's most iconic fictional characters, Captain Nemo and Captain Ahab, as adversaries. It then weaves in a real-life character from history, a British engineer of the ship The Great Eastern, as the captains battle through the latter half of the 19th century, as one tries to prevent the laying of the Transatlantic cable from Britain to the US. The Great Eastern is set to be published June 4, 2019, by Melville House Books, and has already been acquired by Great Point Media — a London-based content and media company. Rodman, former Writers Guild of America West president, will also write the screenplay for the film. Copies of “The Great Eastern” will be available for purchase and signing by Mr. Rodman. RSVP: Click below to RSVP! Howard A. Rodman is a screenwriter, novelist and educator. 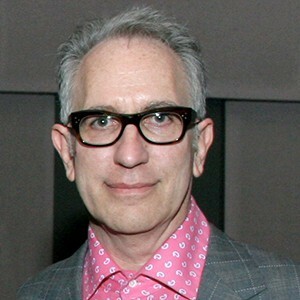 He is the Past President of the Writers Guild of America West, professor and former chair of the writing division at the USC School of Cinematic Arts, and an artistic director of the Sundance Institute Screenwriting Labs. His films include Savage Grace, starring Julianne Moore and Eddie Redmayne; and August, with Josh Hartnett, Rip Torn and David Bowie. Both films had their US premieres at the 2008 Sundance Film Festival. Rodman's screenplay for Savage Grace was nominated for a Spirit Award in the Best Screenplay category. His adaptations of Jim Thompson, David Goodis et. al. for Showtime's Fallen Angels anthology series were directed by Steven Soderbergh and Tom Cruise. Rodman also wrote Joe Gould's Secret, which opened the 2000 Sundance Festival and was subsequently released by October/USA Films. Rodman's original screenplay F. was selected by Premiere Magazine as one of Hollywood's Ten Best Unproduced Screenplays. His 1990 novel, Destiny Express, an historical romance set in the pre-war German film community, was blurbed by Thomas Pynchon, who called it "daringly imagined, darkly romantic--a moral thriller." Rodman is a former editor-in-chief of The SUN. Click here to reserve your spot(s)!! !